Mynydd Mechell Windmill - known as Melin Mechell (also Melin Minffordd & Melin Maen Arthur) on the Isle of Anglesey (Ynys Môn) in North Wales. Mynydd Mechell, Melin Mechell Windmilll - close up. 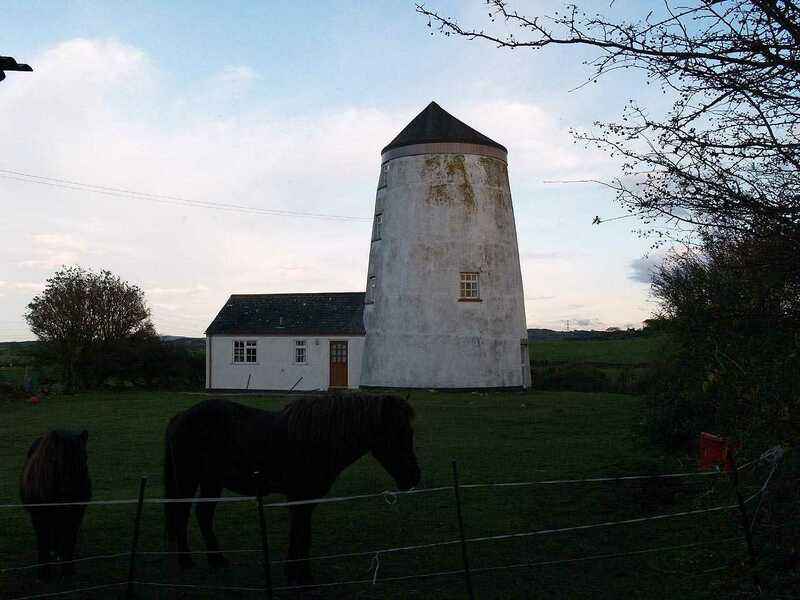 All we know about the age of Melin Mechell Windmill on Mynydd Mechell was that it was there in the early 1880's, and continued working till about the 1910's. 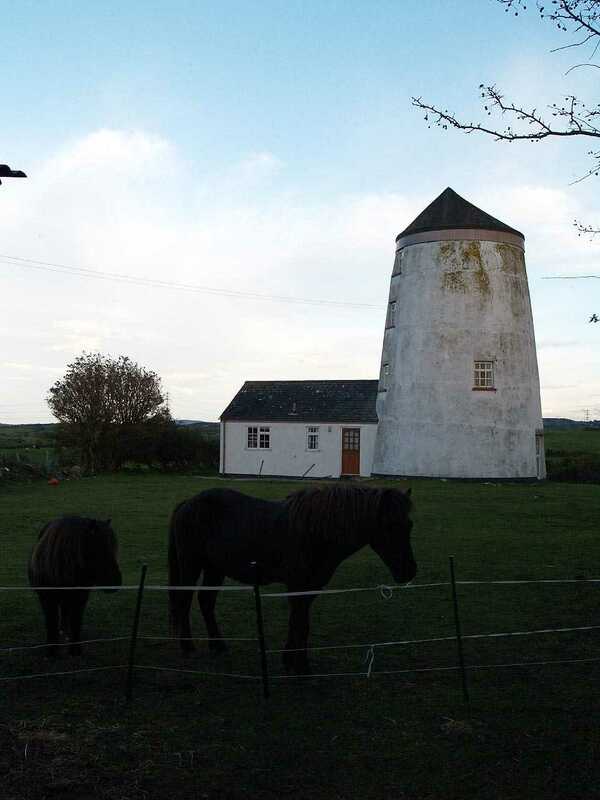 On the 1881 census, Robert Parry aged 64, and born in this parish (Llanfechell) is a corn miller and farmer of 24 acres. 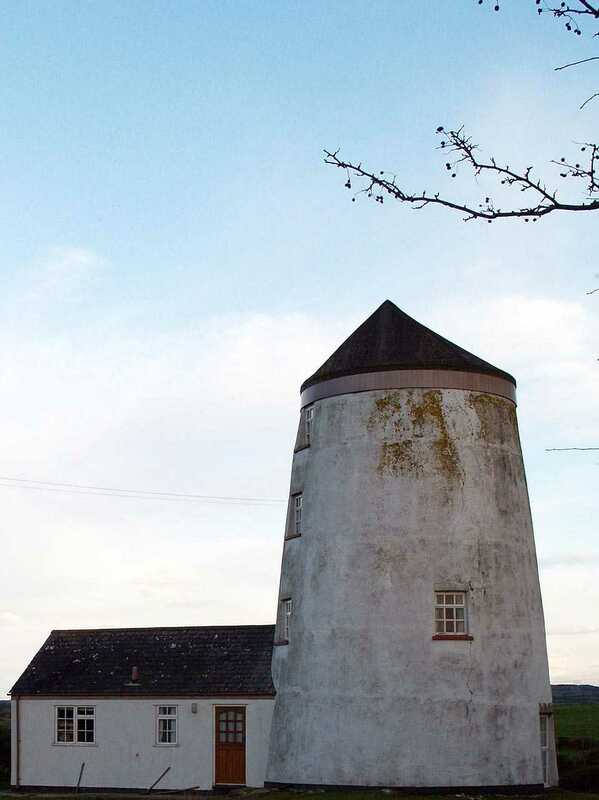 Living with him in Tyn Felin (Mill House) are his wife, his 17 year old niece - working as a house maid - his 2 year old granddaughter, one servant, and another corn miller, Robert Thomas aged 47, and from Holyhead. 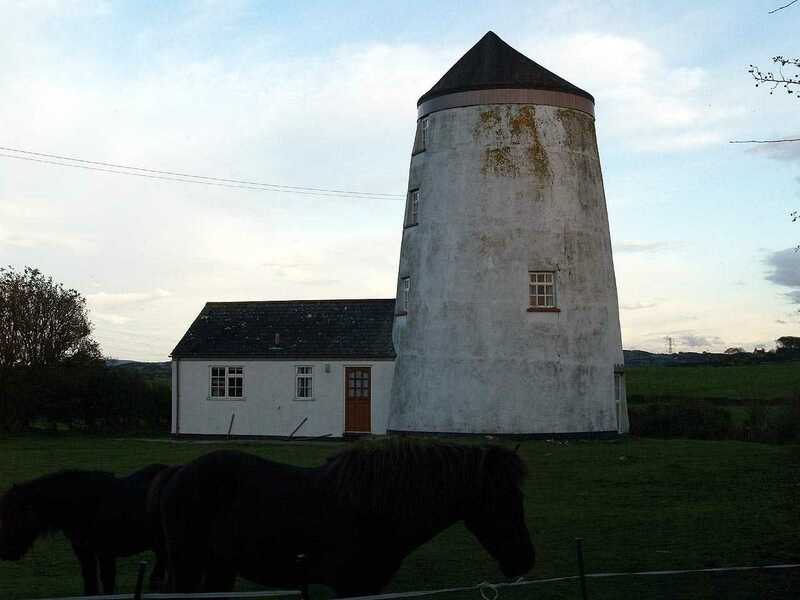 The windmill has now been converted to a dwelling.